How many socks are too many? That title makes it sound like I’ve got millions! And honestly, by other knitters standards I only have a couple which haven’t been gifted to anyone yet (they do make awesome gifts). I only asked the question because a non-knitting friend called into question my sanity not too long ago. Have other knitters experienced this response? 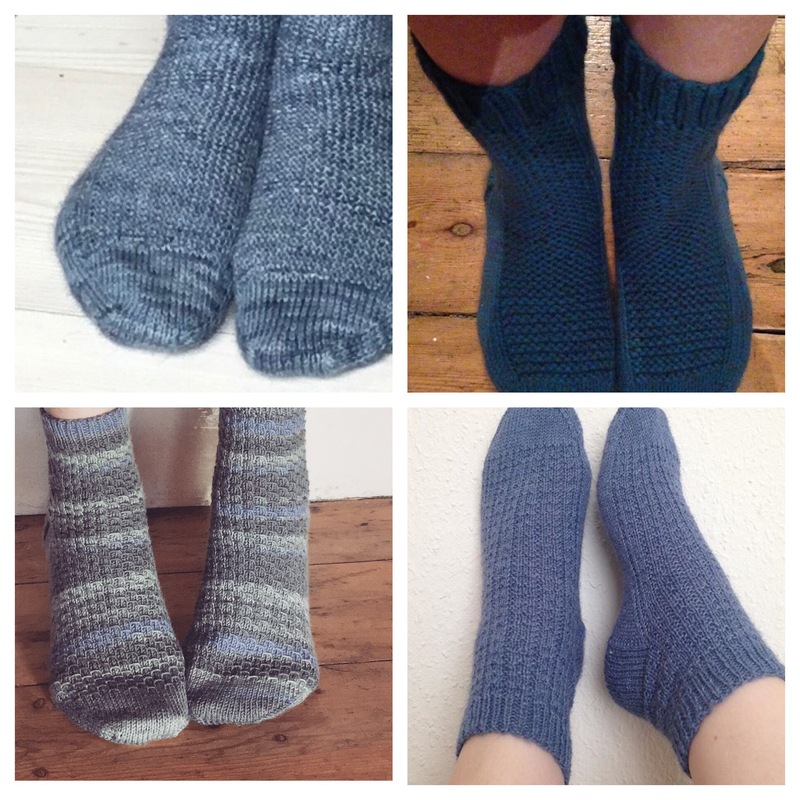 Have I gone sock knitting crazy and just obsessively love to make them? Is there such a thing as too many socks? I’ve thought about this quite a bit. I’ve reasoned with myself that I don’t own too many myself… That they’re just a great portable project which is always helpful to have in your bag… But really, what it comes down to is I don’t think you can own too many socks. The joy of pulling on a thick woolly pair on a winters day, changing out of high heels for work into squishy socks for in front of the tv, and just knowing you have a pair in every colour and every pattern I think is just great. And knowing that the recipients of gift socks (those knitworthy people) may be feeling the same way! And no, you can’t get the same joy from a pair from Primark or Marks and Sparks! But that may be the sock snob in me rearing its prejudiced head. So please excuse me while I go and cast on yet another pair of socks!